Disclosure: B received some Mo Willems books courtesy of Disney Publishing Worldwide both to review and to help celebrate the Pigeon’s 10th birthday. No other compensation was received. 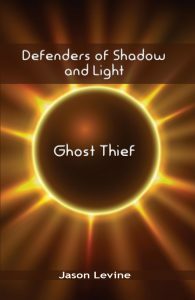 I wasn’t asked to do anything, but I liked this book so much (as well as the other books), that I decided to post a review as well. A few weeks ago, we were given the opportunity to review a few Mo Williems books, While B has her review live today, I thought I’d add in my own thoughts as well about A Big Guy Took My Ball!, by Mo Williems. Our boys love the Elephant and Piggie series. They quote them endlessly and love re-reading them over and over. Now that JSL is learning how to read, he’s finding that he can read these books himself as well. Nothing is a better confidence booster for him as he sharpens his reading skills than reading a book from beginning to end with little to no help. I was first attracted to A Big Guy Took My Ball! because it seemed like an Elephant and Piggie tale about bullying. 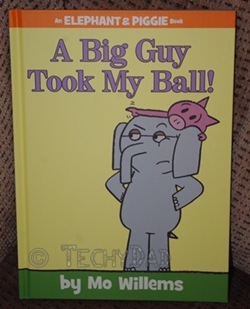 After all, the story involves Piggie playing with a ball and some big guy taking it from him. After we read the book, however, we found out that there’s a twist. Not to give too much away, but it turns out that this book isn’t about a bullying situation at all. Instead, it is about how people can rush to judge people based on the way they look and based on misunderstandings. I loved how Mo Williems’ characters handled the situation once the misunderstanding was cleared up. The characters realized what they did wrong and did all they could to make things better. They even learned that many pre-conceived notions you have can be wildly wrong. This serves as a great model for children who are learning to navigate tricky social waters and who might run into people who look or act different. The world would be a better place if more people lived life following Elephant and Piggie’s examples. A Big Guy Took My Ball! will be released on May 21st, 2013. As of this writing, you can pre-order it on Amazon.com for $5.48.